When printing labels with serial numbers, the label does not retain the last serial number printed. So, next time the user calls up the label to print, the serial number is not the last number printed. When printing a label with the serial number feature initially, the serial number increments as expected. The next time the user calls up the same label, the serial number displayed does not show the correct last serial number used. The Counter is considered a local variable and its value is stored in the label design. 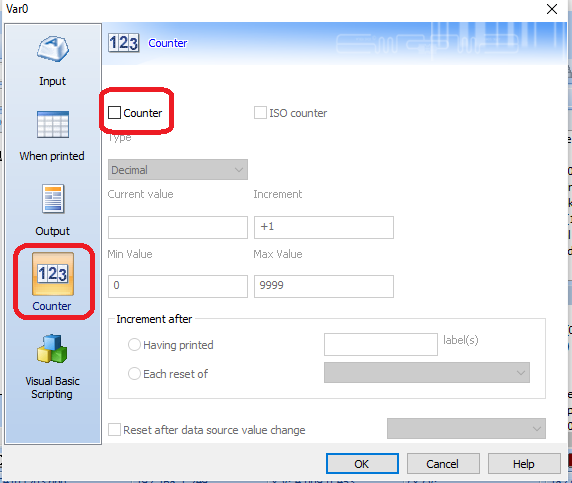 When the user prints labels, the value of the Counter will increment correctly. When the printing is completed, the user closes the CODESOFT program. At this time, CODESOFT will ask the user if he wants to save the label design. If the user responds Yes… the label design and the updated value of the Counter (serial number), will be saved. If the user responds No… then the label design and the value of the Counter will not be saved. This is the reason why the value of the serial number sometimes gets updated and sometimes not. ‘Shared’ Counter – stores the serial number outside the label design (MUST BE Counter data source. NOT ‘When Printed’ Counter data source). 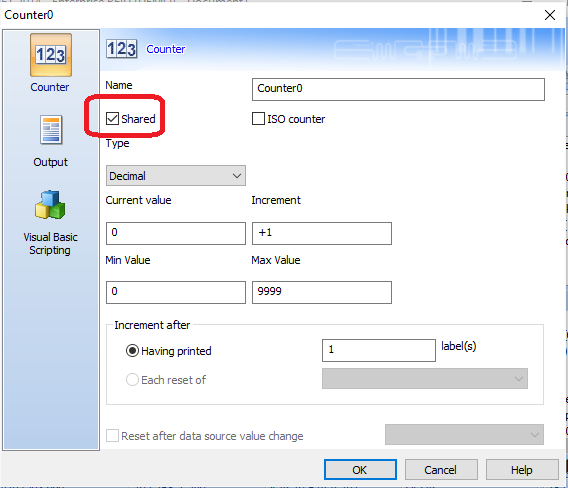 To avoid requiring the user to save the label design every time he prints the label, you can change the type of Counter variable to ‘Shared’ by checking the Shared box on the Counter variable screen. This saves the counter variable outside of the label design file on a default location in your computer. 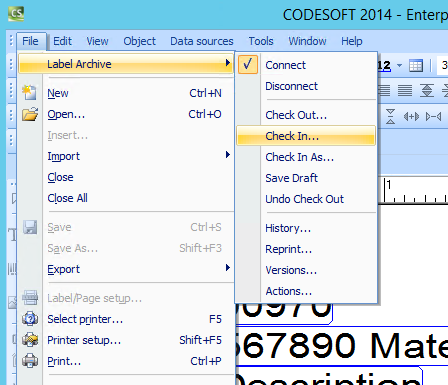 After installing and setting up LABEL ARCHIVE, labels can be ‘Checked In’. Counter variables are then stored automatically on all approved labels without saving the file. 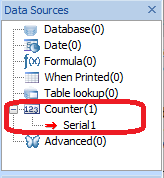 Some other methods of implementing serial numbers are to use an external database (SQL, Excel, etc.) or VB Script with an external data file to store the counter.